Matt holds the globally recognized Certified Financial Planner (CFP®) designation, along with the Chartered Investment Manager (CIM) designation and brings more than 13 years of experience in the industry and a passion for wealth planning to help people achieve their goals. Consulting closely with his clients, he helps them with retirement planning, investment strategies, asset and income protection strategies, tax management strategies, education funding, wealth transfer, business succession planning, and tax-efficient charitable giving strategies. In addition, he advises regarding short-term cash flow needs, major purchase planning, and banking and credit management strategies. Matt believes that his strengths are helping his clients to have realistic expectations, to demonstrate appropriate investor behavior, and to understand how their decisions and discipline can shape the future they want for themselves and their families. Prior to joining our team, Matt was a Financial Planner with TD Wealth Financial Planning. He earned a Financial Services and Planning Diploma from Medicine Hat College and attended DeVry University to study Computer Information and Sciences. Married with a young daughter and son, Matt spends his free time with his wife (Kelsey) and his children (Tessa and Tucker) hitting the gym and taking his kids to activities like taekwondo, soccer, competitive cheer, skiing, snowboarding, biking, and hiking. Please feel free to get in touch with me for a discussion around “your” personal wealth management plan and see how I can help you build a strong and secure financial future for you and your family. 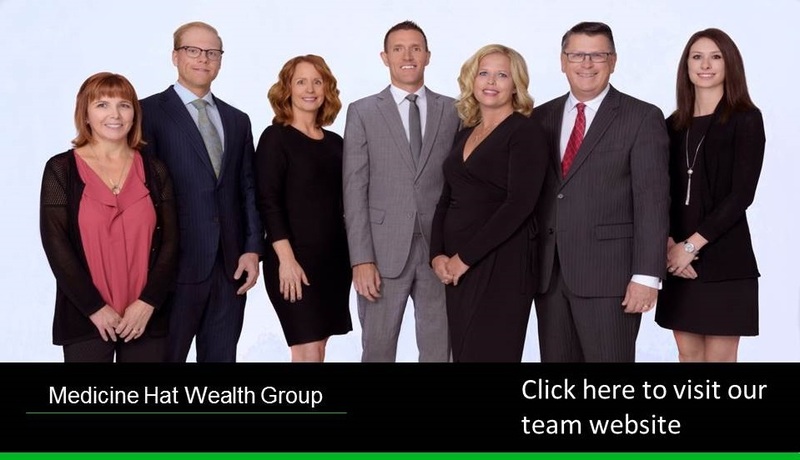 Medicine Hat Wealth Group is a part of TD Wealth Private Investment Advice, a division of TD Waterhouse Canada Inc. which is a subsidiary of The Toronto-Dominion Bank. With over 15 years of wealth management experience, Neil specializes in developing Wealth and Investment plans that encompass each aspect of his clients' financial lives. Neil's clients rely on him for the knowledgeable advice and personalized solutions he provides, portfolio construction, asset protection strategies, retirement planning, education planning, as well as estate and legacy strategies. Outside of the office, Neil spends a great deal of time with his two daughters, Karli and Reesa and his wife, Kari. With a solid 40 years of experience as a TD Canada Trust Branch Manager, Mark has a unique insight that enables him to utilize the various resources and teams that TD Wealth offers to deliver highly customized wealth management solutions for his clients. His commitment to each of his clients is to implement a strategy that is tailored to them and produces an outcome that is focused on their values. Mark is an avid outdoorsman and in his personal time he enjoys fishing and spending time with his wife Cindy. Jenny has been with TD for the past nine years and began her career in a TD Canada Trust branch, helping clients with their day to day banking needs. She transitioned to TD Wealth six years ago and continues to assist the Investment Advisors in delivering consistent and friendly service. In her leisure time, she enjoys golfing, gardening and spending time at the lake with her husband Brett. Cindy joined TD in 2001 as the bank merged with Canada Trust. She worked with customers as a Financial Advisor and obtained her Personal Financial Planning Diploma before joining TD Wealth in 2010, where she supports our advisors to deliver a high level of client service. Organized and good with people, Cindy knows how to communicate well with clients and advisors alike. She likes to anticipate needs and always looks for ways to make our days easier and more streamlined. She helps us work effectively as a team, communicate well and stay ahead of the curve. Prior to joining the financial services business, Cindy was a travel agent for 12 years and visited many places around the world. Cindy has an interest in photography and hiking and travelling with her husband Mark and spending time with family and friends. Denise has been a member of TD Bank Group family for over 15 years. Prior to joining TD Wealth, Denise served as a Financial Advisor at TD Canada Trust where she helped clients attain both investment and credit financial objectives. Denise works tirelessly to deliver an excellent client service experience while supporting the Investment Advisors in achieving their clients' long-term financial goals. In her spare time she enjoys a variety of sports, travelling and chasing after her two girls, Clara and Rayne. Shelley joined TD Bank Group in 1989 and became a member of the TD Wealth Team in 2016. Her knowledge obtained from working in the TD Canada Trust branch for many years, along with a hard work ethic and attention to detail are key to assisting the Investment Advisors deliver an exceptional client experience. Outside of work, you will catch her spending time with her husband, Sean and two sons, Ryan and Cameron.